I am so so happy to see you guys covering Reno! I grew up there, so it’s great to see it featured on the blog. I love the idea of following a band on tour, too. I will try to come to the LA show! agreed, such a cool idea. Not even 10am yet, and there are 4 sausages on the blog. 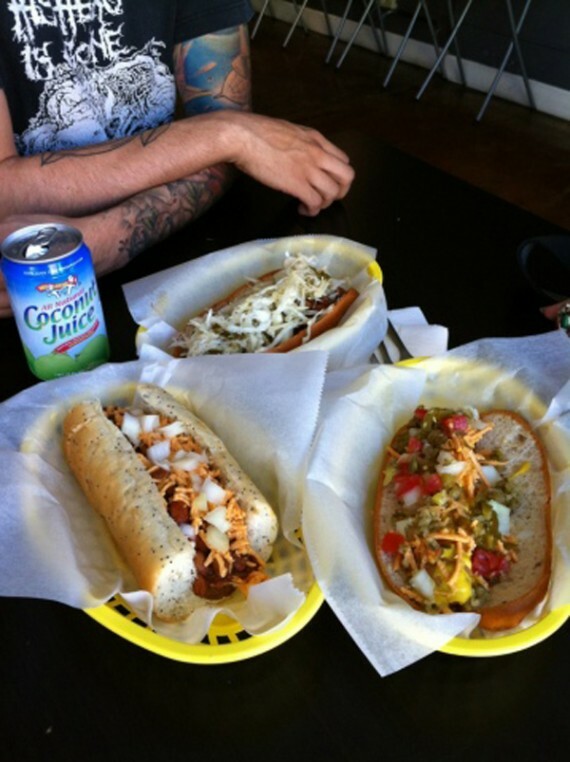 Those dogs look awesome, plus holy poppyseed bun! On 10/20 when you’re in Redding hit up The Best Little Sandwich Shop. It’s essentially just like Ike’s place in San Francisco, but somehow in Redding of all places. I was up there a few weeks ago and it’s great.